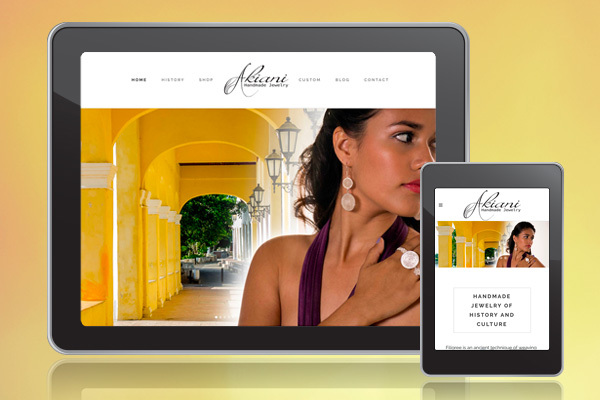 It was a great experience working with Marcela of Akiani Handmade Jewelry to create an e-commerce website. The jewelry available on this website is made completely by hand today in a little known area of Colombia called Mompox, still using ancient techniques. Because the area does not have much contact with the outside world, the traditions of life and artistry have stayed the same, and each piece is unique. The client was given the training necessary so that she can add new unique products as the inventory increases, and make these exquisite pieces available to consumers all over the world. Through this online avenue she is also able to help the people of Mompox to make a fair amount of pay for their work and to keep this wonderful tradition alive.